About a week ago, our beloved Keurig started to putter. By putter, I mean that it only started to give out a half to a quarter cup of coffee. In my caffeine loving household, this was really not okay. Dave was starting to get really sad that it might be broken, and that we wold either have to get it fixed, or replace it. We received it as a gift last Christmas, and as poor 23 year olds, really can't afford to neither fix it nor replace it. So I started reading lots of things on Pinterest. I quickly realized that maybe I might need to clean our best friend. This thought hadn't really occurred to me before, but we have been using it for about 7 months, and now I was a little ashamed that it hadn't. I read more and more of the same scenario: people hadn't cleaned their Keurig, then they had, and it worked like magic. I had to do it. So I combined a bunch of the cleaning tips, and went for it. (I figured I should go big. I mean, 7 months... It probably needed it!) And it worked! So if anyone is ever facing the panic that we felt, be calm young Jedi, and know that your beloved caffeine stream can continue too. 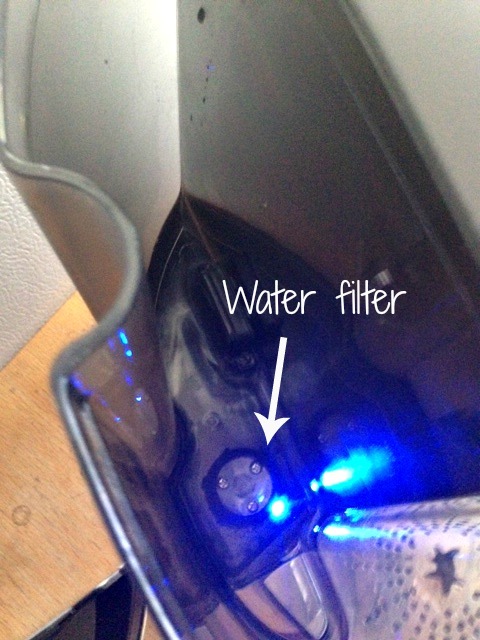 The main area that needs to be cleaned in your Keurig is the water tank. This is recommended every 2-3 months. The reason that you might be getting coffee that is not full, is because your water filter might be getting clogged by hard water deposits, or other nasty things that you just don't want. So to get rid of this, I suggest taking the tank off the Keurig, and washing it out. I just washed it with a mild soap and very hot water. Make sure to get in that water filter nice and gently. It feels like a piece of mesh screen. That will probably be where the most of the build up is. When you re-attach the water tank, fill it with about 16-20 oz of white vinegar. I basically just filled mine to the top. 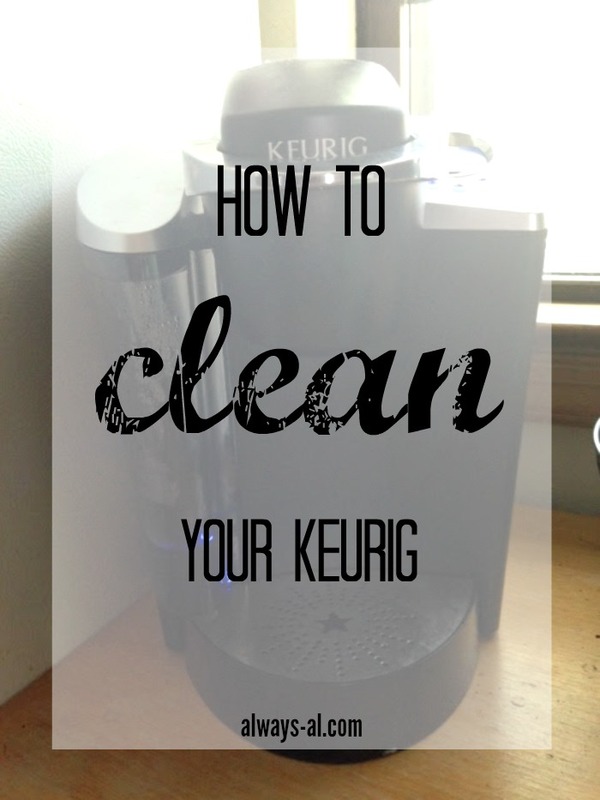 Run the vinegar through the Keurig, so that it is cleaning out the filter and also the inside of the machine. I used the hot vinegar to clean out my kitchen sink drain once it came out of the Keurig. Once you are done with the vinegar, run two tanks full of regular water through the machine. This is to get the vinegar all the way out of the inside. You should be getting full cups by now. If you aren't getting full cups, you might have a clog in one of the needles. 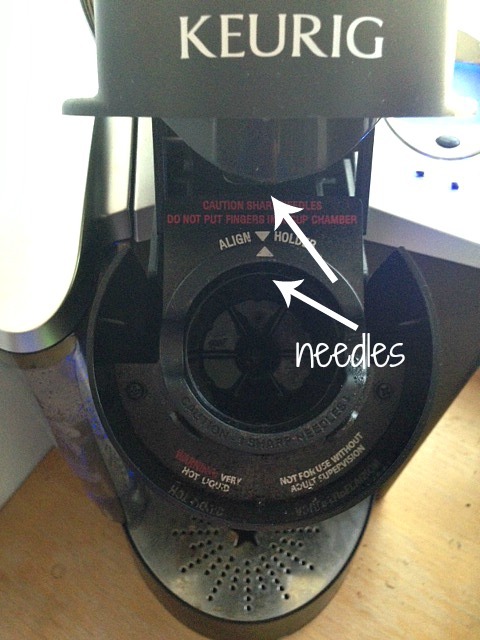 The needles are what pokes holes in the K-Cups, and sometimes they can get coffee grounds stuck in them. Just take a sewing needle or the end of an unfolded paperclip and clear them out. If there is anything stuck in there, it should clear it out easily. This is a little bit time consuming, but totally worth it. The Keurig just needs a little bit of TLC, and it is good to go. To bring me my beloved coffee every morning and sometimes afternoon. I hope this helps all you caffeine addicts out there keep your Keurigs in shape!